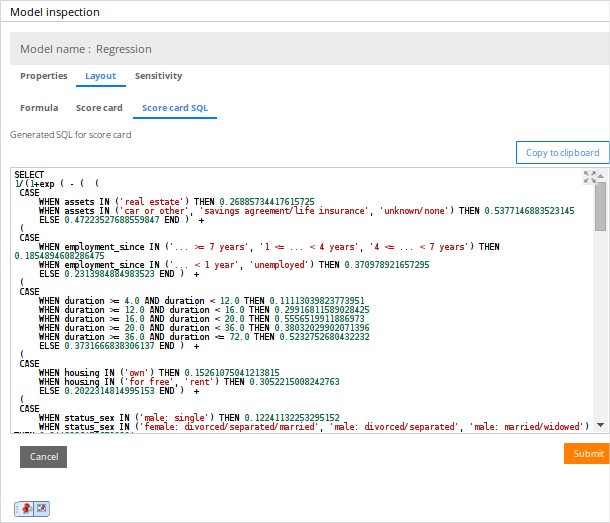 The Predictive Analytics Director (PAD) portal features improvements to operations on huge customer databases, the data preparation stage, and the analysis stage. You no longer need to create simulations for scorecards to validate scorecard results against a huge list of customers that are stored in a database. To facilitate the model building process, you can specify special values for predictors, visualize raw distribution of predictors, inspect predictor groups, and set sequencing options. The PAD Scorecard can be generated as an SQL query that you can copy and execute on a customer database. This change facilitates the generation of individual customer scores on huge customer databases. For more information, see Creating a regression model in the Hall of Fame. Special values can be added for numeric predictors. For more information, see Managing binning options for the numeric predictors. A histogram of the raw distribution helps you to better understand predictors. For more information, see Raw distribution. 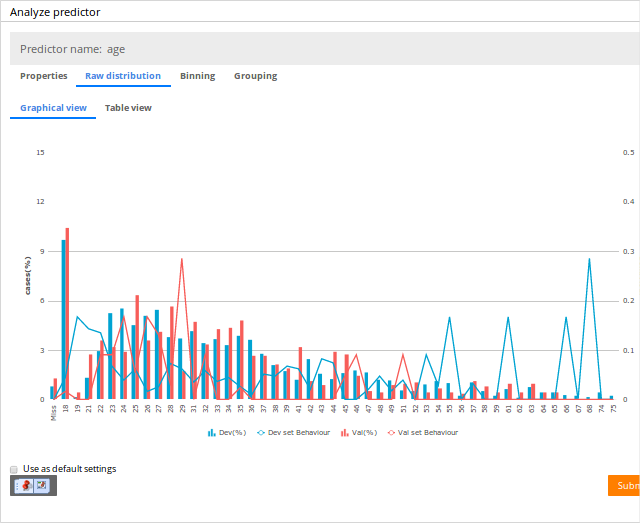 The Data analysis step includes a group view for predictors. For more information, see Analyzing data. The Sequencing option is now visible in the Predictor grouping step. For more information, see Grouping predictors.